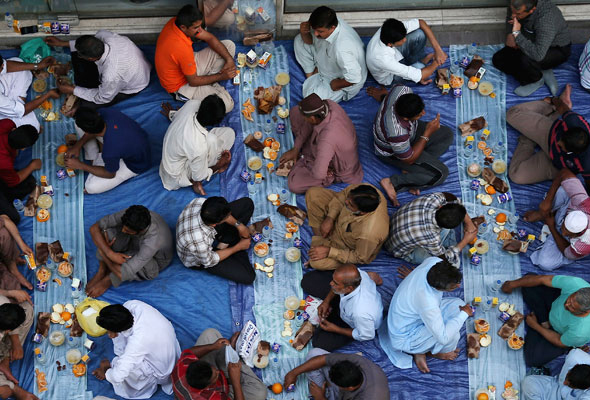 A Kuwaiti astronomer has advised that Ramadan will begin on Monday May 6, according to Gulf Business. Adel Al-Saadoon said the crescent moon marking the start of the month will be clearly visible for all to see on Sunday, May 5, the official Kuwait News Agency (KUNA) reported. “The crescent is obscurely visible with the naked eye, but will be visible using binoculars or telescopes. The month of Ramadan will last 29 days this year,” he said. While the first day of Eid Al Fitr – which marks the end of the Holy Month – is expected to fall on Monday June 3, the official dates for the UAE are yet to be confirmed by the UAE’s moon-sighting committee. Remember, during the month of Ramadan, normal working hours are reduced by two hours a day (so if your working day is 9am to 6pm, you’ll only have to work until 4pm). Last year, Ramadan started a little later, beginning on May 17. Each year the dates shift back by roughly nine days, in line with the Hijri calendar. The ninth month of the Islamic calendar, Ramadan is a time when Muslims around the world abstain from eating, drinking or smoking between sunrise and sunset. Lasting about a month, it marks the time when the Qur’an was first revealed to the Prophet Mohammed (PBUH). Extra tarawih prayers are performed at the mosque throughout Ramadan and each evening 1/30th of the holy book is recited. By the end of Ramadan, many observers have read the entire Qur’an. Fasting is one of the five pillars of Islam, which are the foundation of the religion. The pillars are the framework by which Muslims everywhere live, and Ramadan is considered the holiest time in the Islamic calendar. It is a time for prayer, reflection and religious devotion, to cleanse past sins and to focus on Allah through good deeds.